On Sunday 12th January 2014, the Feast of the Baptism of the Lord, Pope Francis named 19 prelates to be elevated to the College of Cardinals at a Consistory to be held on February 22nd. Among those named was the current Archbishop of Westminster and President of the Bishops’ Conference of England and Wales, Archbishop Vincent Nichols. The Catholic people of Wales join together in congratulating Cardinal-Elect Nichols and praying for him as he undertakes this important new role both in England and Wales and as part of the international College of Cardinals. “Today. I am deeply moved by the honour conferred upon the Catholic Church in England and Wales and on the Diocese of Westminster by His Holiness Pope Francis. The Catholic Church in our countries has always had a profound and loving loyalty to the Holy Father, the Successor of St. Peter. This appointment enables me, on behalf of all, to serve the Pope in a direct and prolonged way. Personally, this is a humbling moment when I am asked to take a place in this service of the Holy See and in the line of much loved Cardinal Archbishops of Westminster. I seek the blessing of Almighty God for these new responsibilities and I ask for the prayers of all people of faith that I may fulfil them with energy and devotion”. “On behalf of his brother Bishops and the Catholic community in England and Wales, I offer Archbishop Vincent our heartiest congratulations as the 11th Archbishop of Westminster to be made a Cardinal. On behalf of the Archdiocese of Cardiff, I have sent prayerful good wishes and congratulations to Archbishop Vincent Nichols on his elevation to the College of Cardinals. On a personal note, I have been privileged to work with him for over twenty years. Firstly when he was Secretary to the Bishops Conference of England and Wales . Then when he was Auxiliary Bishop to Cardinal Basil Hume followed by his time as Archbishop of Birmingham. For two years before coming to Cardiff I was his Auxiliary Bishop in the Archdiocese of Westminster. He is a man of great gifts with tremendous insight and dedication. He has a profound love of the Church and of all God’s people. 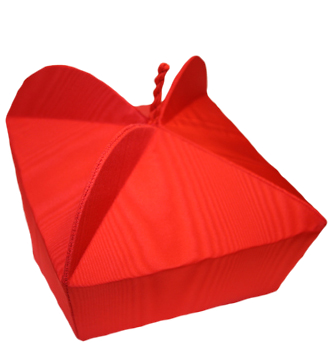 Catholics in England and Wales are truly blessed in their new Cardinal. Cardinals assist the Pope in the governance of the Universal Church, they are his counsellors, representing the Church from all parts of the world. They present the Holy Father with a view of the Church within their territories and they are called upon to represent the Pope at major celebrations and even civil functions throughout the world. However the most important role of a Cardinal who is under the age of 80 is to take part in the Conclave that elects a new Pope upon the resignation or death of the current Pontiff. Cardinals wear scarlet cassocks as princes of the Church who are prepared to spill their blood for the sake of Christ and his Church. 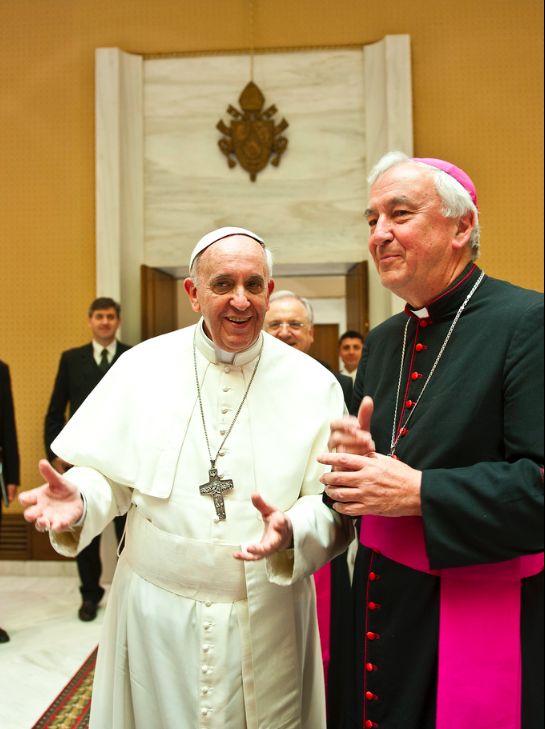 We wish Cardinal-elect Nichols every blessing and look forward to the Consistory next month. This entry was posted in Announcements, Appointments, Archbishop Vincent Nichols, Catholic Bishops of England and Wales, Francis, The Holy Father and tagged Archbishop Vincent Nichols, Cardinal, Consistory, Pope Francis, The Holy Father. Bookmark the permalink.